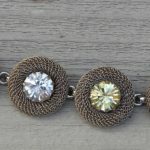 Silver bracelet sequence of round mesh settings filled with alternate crystal colors. 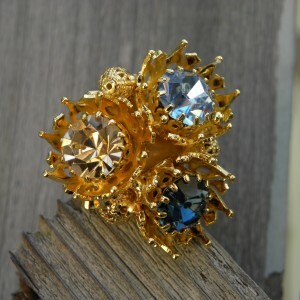 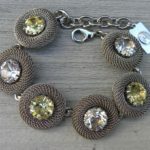 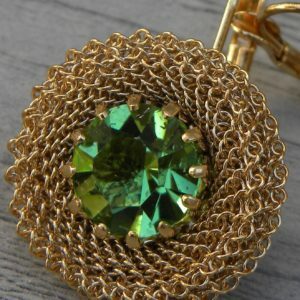 Stones are by Swarovski in citron color. 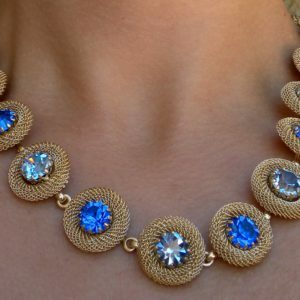 Hypoallergenic. 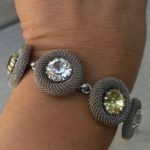 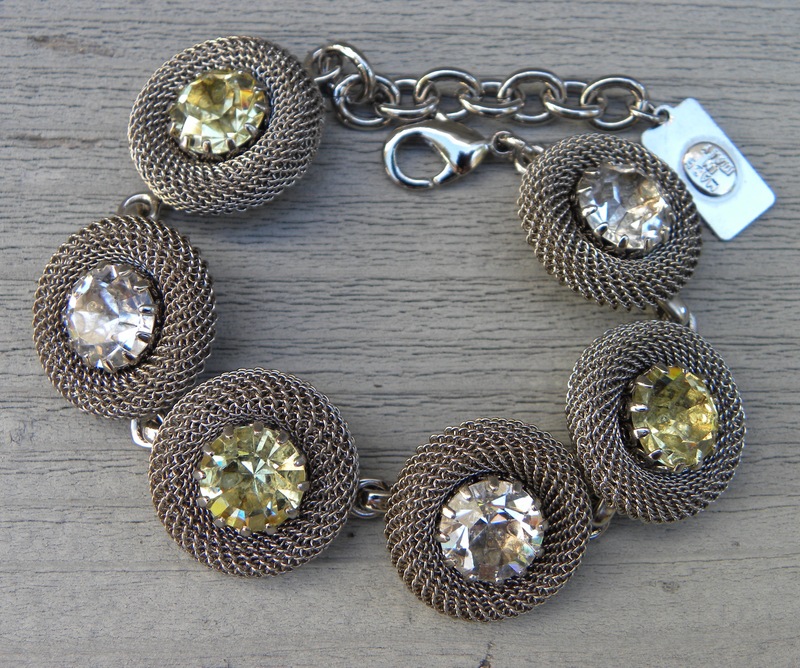 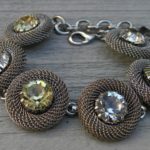 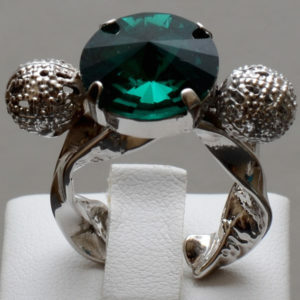 Mesh bracelet with Preciosa crystals.